What if you could bypass banks and finance companies and get access to the money you need when you need it… with no questions asked? And what if you could add $100,000 or $250,000 – or more – to your lifetime wealth, just by making a simple change to how you make major purchases? Now imagine being able to use your money to make a major purchase and have it continue growing as though you hadn’t touched it. 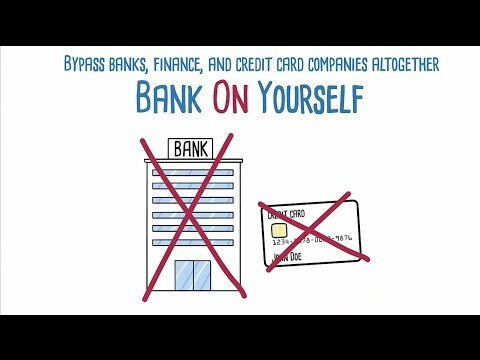 It may sound difficult, but becoming your own “bank” is easier to do than you might think, and hundreds of thousands of folks are already doing it! Financing major purchases like a car, dream vacation, a college education or business expenses through a Bank On Yourself plan beats using bank financing, credit cards, leasing or even directly paying cash by a long shot. The typical family could increase their wealth by hundreds of thousands of dollars by doing this. To find out how much more wealth you could have – without increasing your risk – simply request a FREE, no-obligation Bank On Yourself Analysis here. You’ll also get a referral to one of only 200 advisors in the U.S. and Canada who have met the rigorous requirements to be a Bank On Yourself Authorized Advisor, and who can answer all your questions. So request your Analysis now. But you don’t have to be famous to join them. Take the first step and request your free Analysis here.